We asked a bunch of Metal Hammer writers to show us the new bands they’re bouncing off the walls excited about in the coming year. 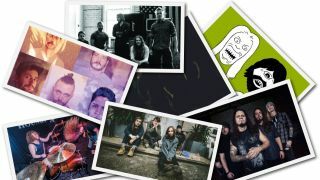 Obviously we can’t predict which bands will flourish and headline festivals in the year 2020, but we can tell you that you’re going to want to listen to this dirty dozen over and over again. 2016 is gonna rule.